Most of you might be aware of the latest developments in iOS, with iOS 10 release in Worldwide Developers Conference (WWDC) held this month. What basically you can expect is a great deal of improvement in refreshing design, enhanced battery, and brand new features. However, just like previous versions, this latest iOS might not turn out to be compatible with existing, but outdated Apple devices. The conference that took place from 13-17 June, did not see the actual release of the OS. Instead, what you had, is a glimpse of the true operating system release, later in September.The reason we are saying this, is due to the much awaited release of iPhone 7, going to take place around that time. Today, in this discussion, we will be discussing our views on the release of iOS 10, and the features releasing with the model. Though Apple is yet to disclose what the actual features will be, we at Fusion Informatics, have our own opinions on the predictive features, you are about to witness in few months. 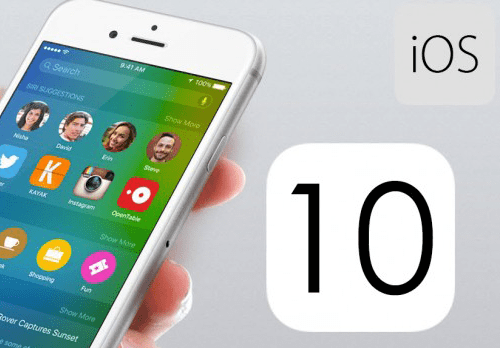 Before we deeply dive into the functionalities, you must know that iOS 10 is going to be quite different from its predecessors. The OS will bring with itself, improved touch technology, 3D Touch, enhanced security, brand new technology for photo editing, and more. Siri has been Apples favourite all way long. With time, Siri is just getting better, and believe it or not, even smarter. You have already seen too much happening around with Siri. However, we have a strong feeling that Siri will now have its spread over advanced navigation, car controlling, fitness tracking, predicting weather forecasts, and more. In addition, handling calls will be a brand new task added to the task list of the personal assistant, as well as delivering transcribed voice messages in the form of text. So, you have voicemail integrated within Siri, interpreting sending and replies for a two way communication. Imagine, voice input processing for user profiling, enabling user recognition engine, to act as an intermediary between the user, and Siri ofcourse. This will let users to have a complete control over Siri, identifying individual members of the same family for example. Depending on which member wants to see what program on Apple TV Box, Siri will accordingly start the media, right after voice recognition. Are you an Android user, or ever got a chance to use the OS? It is highly convenient to get rid of the default apps, or hide them from view, when using Android. However, iOS on the other hand, does not allow users to delete apps loaded in iPhone by default. However, you can expect this problem to vanish with iOS 10. What we feel is, iOS 10 will not just let users to exploit or enjoy apps, but even delete the unwanted stock apps. As the title says, iOS 10 is expected to allow the customization of multiple user accounts, so that you have a unique household slate, corresponding to every individual user. You might be already familiar with the Apples 3D Touch technology, performing a variety of tasks, on the pressure of fingertips. This technology has not just brought tremendous innovation, but also difficulties with the usage part. We are hoping to expect a lot more new things to happen, with options for hiding Game Center, Health, Maps, Tips, Stocks, and more. Peek & Pop state in soon to release iOS 10, will enable users to have a brief preview of the content inside the app. This will in turn let users to choose what they want to. You will see a photos app, just like never witnessed before. It is a matter of just last year, when Apple discontinued the use of iPhoto app, both for iOS and Mac. We believe, advanced features to get introduced with iOS 10, in the form of EXIF data editing, adjusting components on an image, and fine-tuning the brightness through touch brushes. iOS 9 had the capabilities to support the ageing iPad 2, as well as iPhone 4s. However, the trend may discontinue with iOS 10, as the latest OS will demand 512 MB RAM, cutting off old devices from the race. On the other hand, battery life has been a stupendous matter of concern for most Apple users. Good news is, you might expect a more powerful battery efficient processor with iPhone 7, letting iOS 10 be the first energy efficient Apple OS. Being an iPhone/iPad application development company for years now, we are eagerly waiting for what the latest Apple offering has in store for us, as well as the avid app users. We have already created a bunch of apps for iPhone 6, as well as iOS 9, but we feel it would be a whole new experience doing the same with iOS 10, and iPhone 7. With so many new features forecasted for the latest Apple offering, we personally feel it would be more of a challenging task, to leverage these capabilities into the apps, we will be building. Remember, the things we discussed, are just our predictions, based on the industry tal and buzz going around. However, we are confident of seeing most of them, when we get hold of the actual OS. The features we just discussed, are definitely meant towards bringing a whole new revolution with iPhones. More importantly, it will change the perspective completely, related to designing and developing apps. It would certainly not be easy to build apps for iOS 10, especially with so many new features, as well as advanced capabilities in the existing ones. However, one thing is for sure. The things we will be seeing in iOS 10, and iPhone 7, are going to compete with Android phones, taking iPhones one notch higher, and setting new benchmarks related to the quality.